I have been a fan of John Steinbeck since I read Tortilla Flat in high school. The book is about a paisano named Danny and the adventures he has with his friends It's a book that has so much warmth and heart and love for its characters that I read it twice in a row. Over the years I read more and more Steinbeck novels. Of Mice and Men, The Grapes of Wrath, East of Eden, The Moon is Down and more. I read East of Eden over Christmas one year and I remember that I kept thinking to myself, "THIS is great story-telling!" 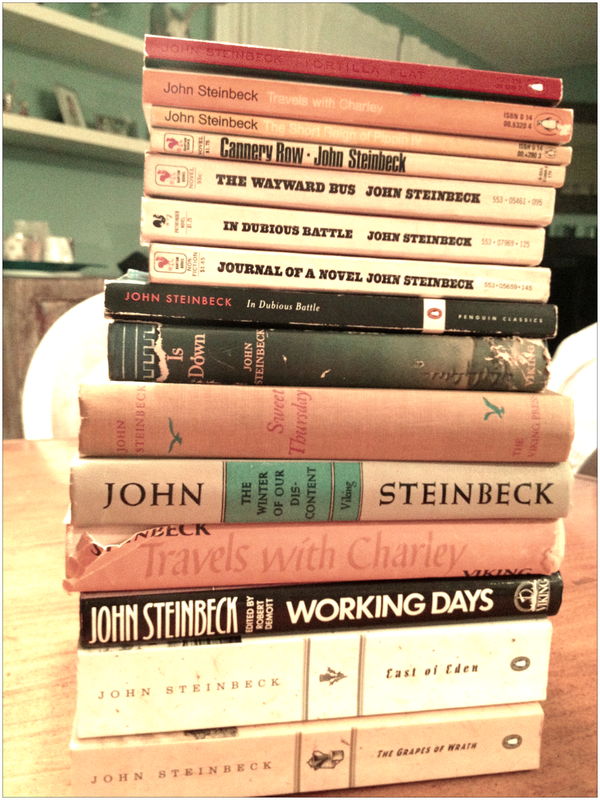 At that moment, I resolved to read all the Steinbeck I could get my hands on. That was a few years ago. I've read only one other Steinbeck novel since then. 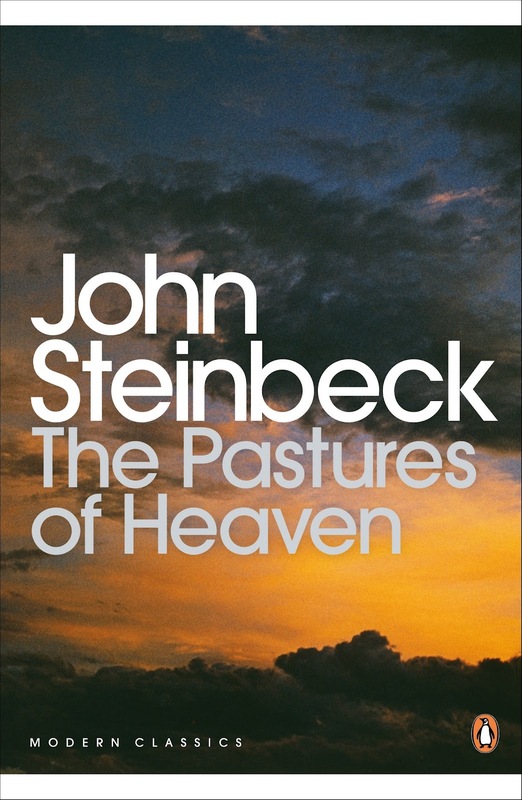 I was sitting at home the other night, wanting to read something, but unable to pick a book and it occured to me that I should maybe go grab a Steinbeck novel and give it a go. I went into the basement and got out the box that had the Steinbeck books and started to look through them. I wanted to read all of them. I wanted to re-read The Grapes of Wrath and I wanted to read In Dubious Battle for the first time. I wanted to see if Cannery Row was a good as I remembered and I wanted to finally read Travels with Charley. That's where I got the idea for this challenge. Finally, I haven't figured out how I'm going to handle the two Sea of Cortez books. They are largely the same, but each also has content that is exclusive. The Major Works: Read Steinbeck's major works: The Pearl, Travels with Charley, East of Eden, The Grapes of Wrath, Of Mice and Men. 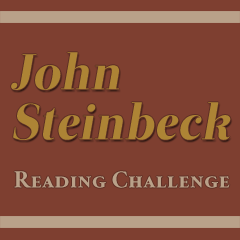 The Long Novels: Read Steinbeck's two long novels: The Grapes of Wrath, East of Eden. 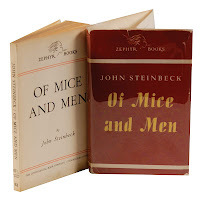 The Short Novels: Read all of Steinbeck's short novels - Tortilla Flat, The Moon is Down, The Red Pony, Of Mice and Men, Cannery Row, The Pearl. These are often collected in a single volume. The Dustbowl Trilogy: Read the three novels that make up the Dustbowl trilogy - In Dubious Battle, Of Mice and Men, The Grapes of Wrath. 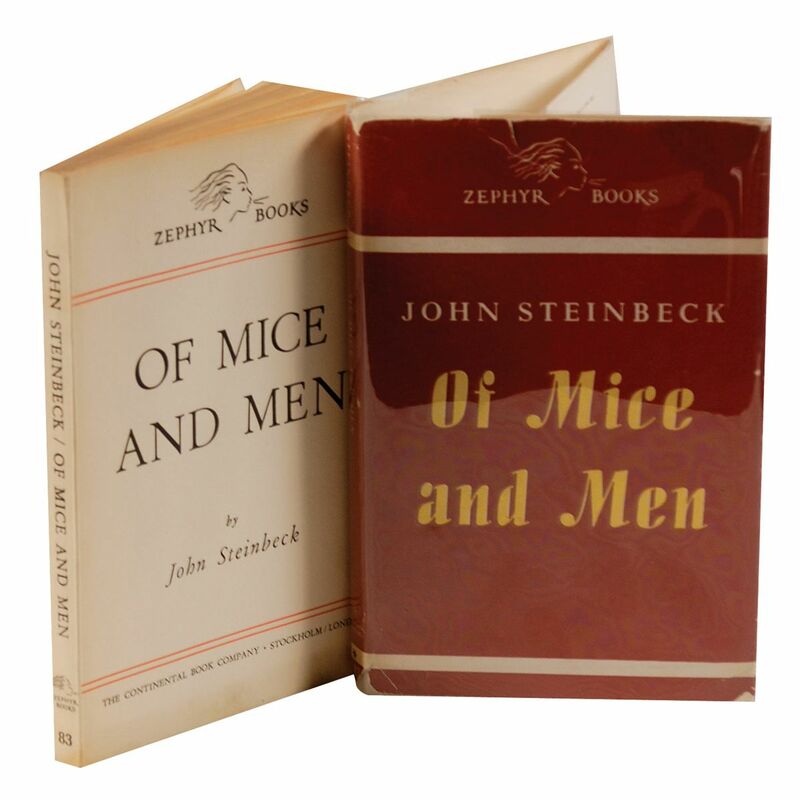 Mix and Match: Read any number of Steinbeck novels. This is a perpetual challenge, meaning that it will continue for as long as it takes for me to complete it. If you want to participate, grab the button below and put it on your blog. Indicate the level at which you want to participate and add your name to the linky below. Please link directly to your challenge announcement post. I will regularly link to any new challenge posts here on this blog. You may join this challenge at any time. The books in blue indicate the books that I already own and the books with the red asterisk are the books that I'll be re-reading. I bought Cup of Gold off of eBay last night, so I'll begin reading as soon as it arrives. I can't even begin to tell you how excited I am about this project. 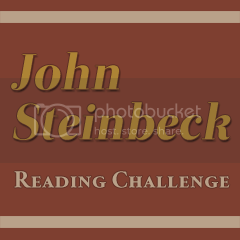 I hope you'll join me and read at least one book by John Steinbeck.